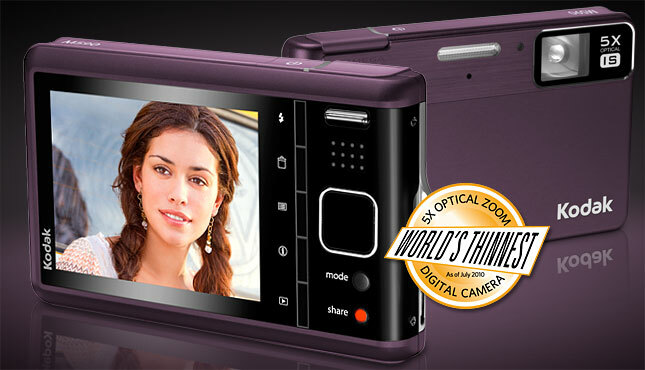 Claimed to be the “world’s thinnest 5X optical zoom camera”, Kodak announced today the M590 point and shoot digital camera, which also like Playtouch compact camera is equipped with Share Button, allowing to tag pictures and videos directly on the camera for and uploading to Facebook, Flicker, Kodak Gallery, Orkut and Youtube. 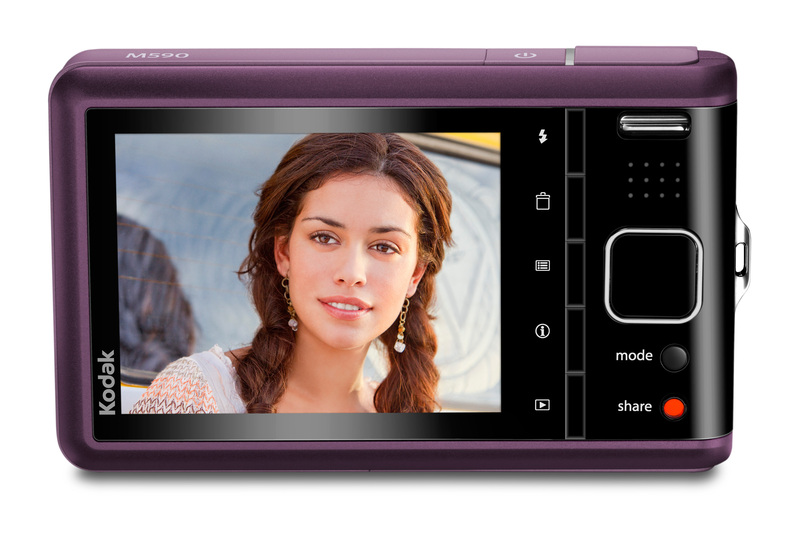 The EasyShare M590 is only 15mm on its thinnest side, packs 14Mp sensor, has 35-175mm equivalent lens and a 2.7-inc LCD display. 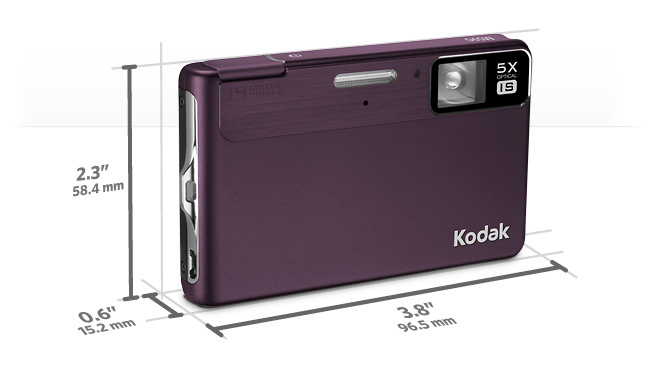 It stores captured pictures on Micro SD/SDHC memory cards and is capable to record 720p HD movies, as well Image Stabilization functions to reduce blur caused by subject movement or fast-action situations, Face Recognition and Smart Capture features. 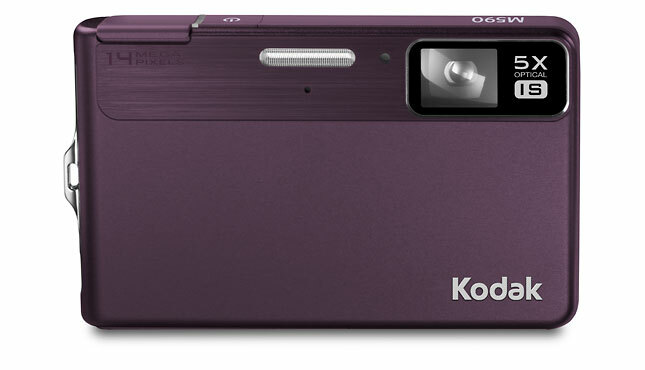 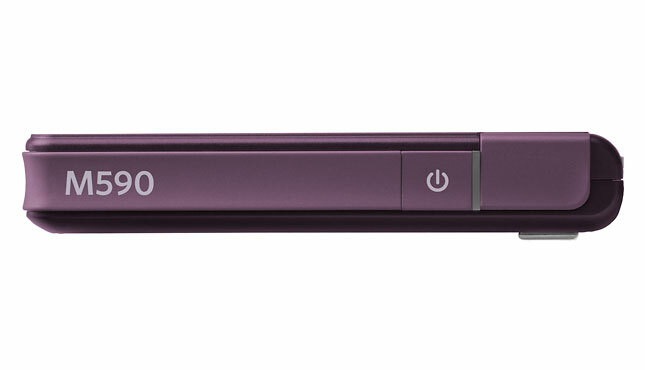 The Kodak EasyShare M590 Digital Camera will be available soon for US $199.95 MSRP in silver, red, purple and blue. 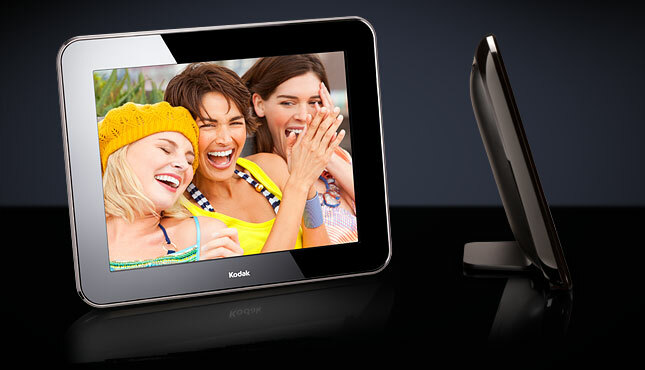 Kodak also introduced a new 10-inch PULSE Digital Frame ($199.95), featuring Wi-Fi connectivity and a customizable email address, where you can send your pictures directly from your mobile phone or laptop, It also connects to FACEBOOK and KODAK Gallery photo albums, offers easy set-up with no software to install, and has an intuitive touchscreen interface.